Posted on January 21st, 2019 at 9:15 am. Just one of the “startlingly democratic” poster sessions. Aaron Golub’s presentation was one of my personal highlights of the conference. I attended a seminar in which Dr. Golub, a Professor of Urban Studies and Planning and the Director of the Toulan School of Urban Studies and Planning at Portland State University, shared findings from his ongoing research about the equity implications of TriMet’s shift towards electronic fares. 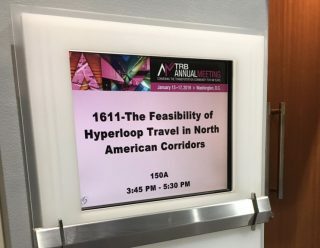 His presentation, “An Equity Assessment of Smart Mobility Systems in Portland, Oregon”, was featured in a session titled, “Taking Off the Rose-Colored Glasses: Equitable Access to 21st-Century Mobility Options”. Posted on January 16th, 2019 at 8:30 am. 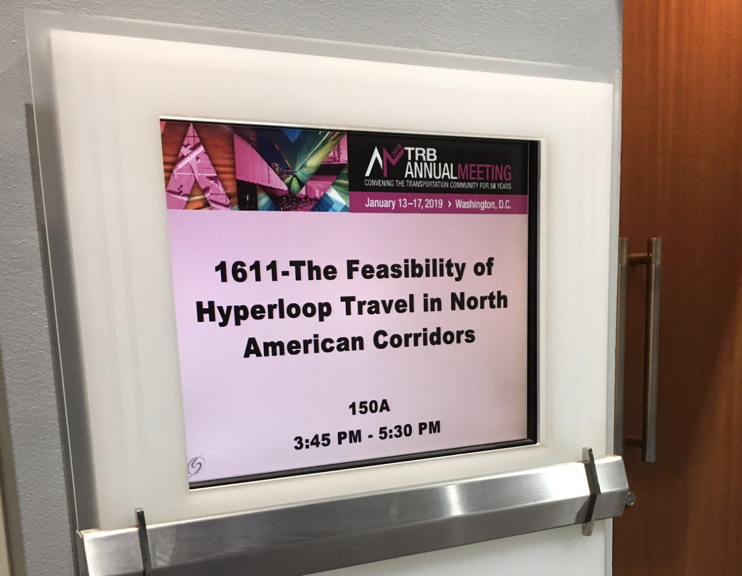 Welcome to the latest dispatch from our Transportation Research Board Annual Meeting Special Correspondent Aaron Brown, who’s in D.C. covering this event thanks to a funding partnership with the Transportation Research and Education Center at Portland State University (TREC at PSU). See past coverage here. 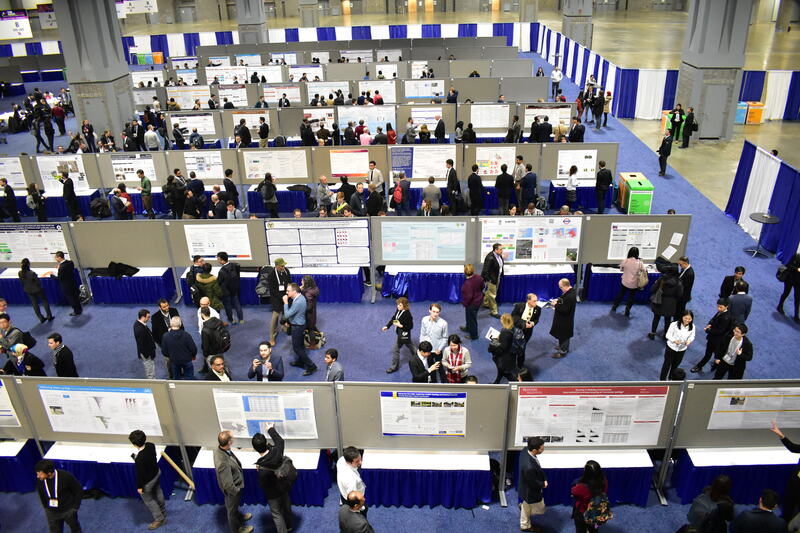 As TRB gears up to celebrate its centennial (a detail that conference organizers are eager to mention as many times as possible), it’s hard not to pick up the infectious enthusiasm and energy surrounding the exciting new fields of academic research and inquiry. As recently as a decade or two ago, academic inquiry on bicycles as transportation options were limited to a handful of specific universities across the country. 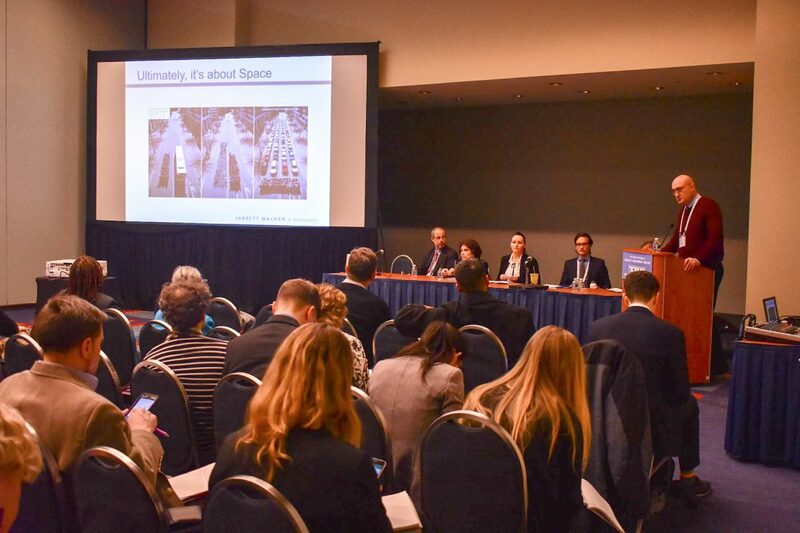 Now, virtually every up-and-coming transportation planning student is well-versed (and frequently seeking a career in) active transportation, and the role it plays in designing communities. Posted on January 15th, 2019 at 10:41 am. Posted on January 14th, 2019 at 12:27 pm. 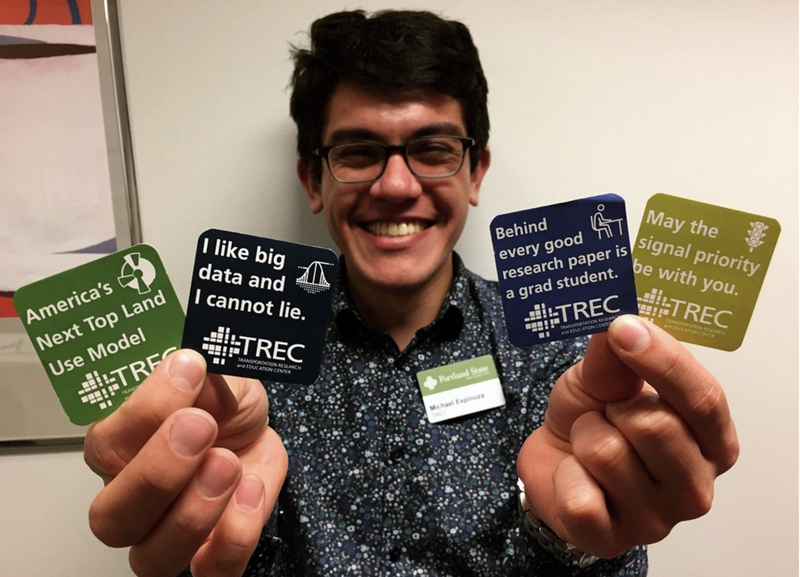 These stickers (modeled by Portland State University’s Michael Espinoza) are a hot commodity at the conference. Posted on March 1st, 2018 at 4:56 pm. You can add another bike-related topic that researchers at Portland State University have gained national notoriety for: equity in bike share systems. PSU’s Transportation Research and Education Consortium (TREC) just won a grant worth nearly $75,000 from the Better Bike Share Partnership. 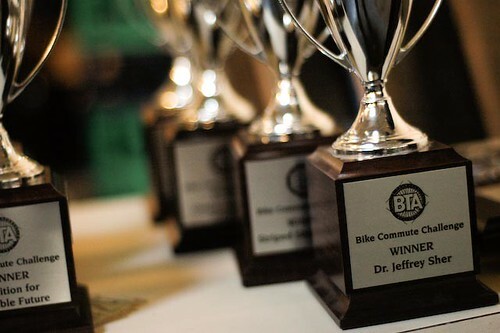 The award, announced today by People for Bikes, is part of $410,000 split between eight projects across the country. 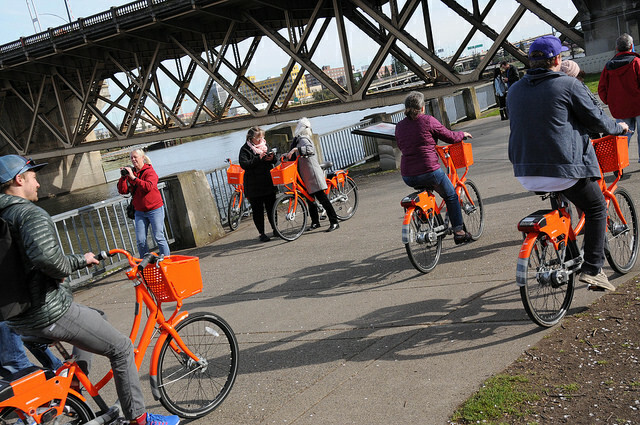 Portland State’s research team will document the programs and strategies developed to address equity in bike share across the U.S., and identify the definitions and measures of success for each of these efforts. The result will be a catalog of equity approaches employed, an aggregated summary of key elements of each approach or strategy, and a record of which metrics agencies used to assess if they are meeting their equity goals, along with the various ways agencies are assessing their programs. Posted on May 5th, 2017 at 10:27 am. 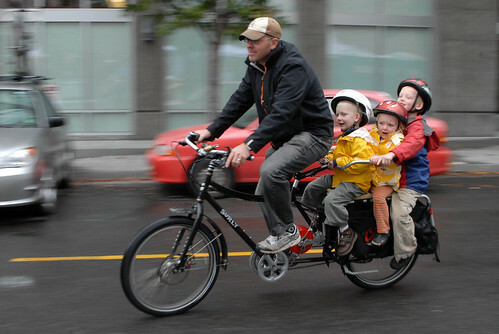 E-bikes help regular people do amazing things. E-bikes are everywhere in Portland. Dealers report strong sales, they scored great press in the Willamette Week’s latest bike issue, and I have a feeling that in a few years we won’t remember what our bikeways looked like without them. Like many trends in the U.S. bike scene, Portland is leading the way. We have a cottage industry of sellers, makers, and tinkerers who are pushing e-bikes into the mainstream. We also have an academic brain trust at Portland State University that has become one of the nations leading places for e-bike research. Portland State University has been researching e-bikes since at least 2011. Now they’ve inked a partnership with national nonprofits People for Bikes (an advocacy group funded by the bicycle industry) and the Bicycle Product Suppliers Association to learn even more about the e-bike market and push it further along into the American mainstream. Posted on September 1st, 2015 at 9:39 am. Portland’s friendly annual competition among workplaces to see who can log the most and longest bike trips and who can recruit the most commuters starts today. And an excellent new academic paper shows exactly why you should be signing up and nudging your co-workers to do the same.